Such trading systems as martingale and grid system have carved a name for themselves in the world of robot trading because of their unmanageable risk appetite. 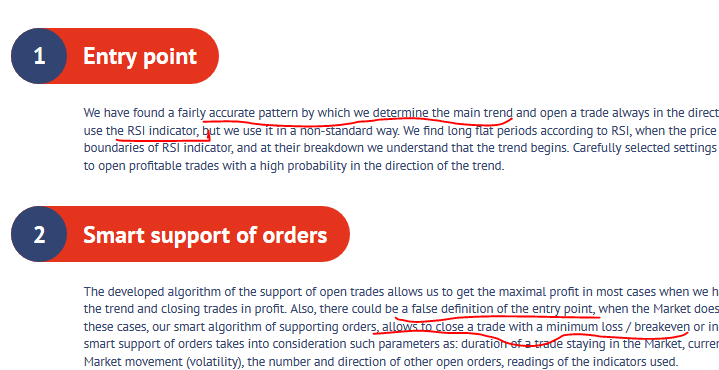 And FXAdept expert adviser developers want you to know this and understand that their trading system doesn’t use either. Neither does it use scalping. The website promises users up to 30% in monthly profits when trading the single USDJPY currency pair. 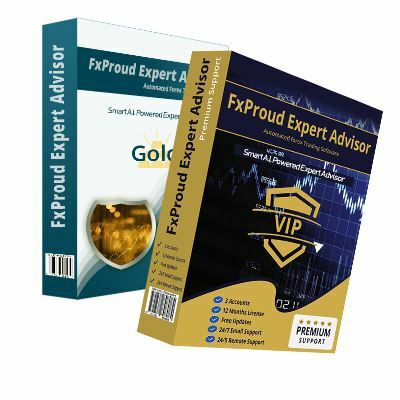 Throughout the website, its developers, who chose to remain anonymous, claim that you don’t need prior forex trading experience in order to interact with their system. But the vendor and developer information isn’t the only information the $269 trading license distributors aren’t willing to share with their clients. The information posted on the website is also quite vague in so many ways. We nonetheless probe its strategy, backtests and live trading results and any other critical data on the site to try and determine their legitimacy. What strategy does FXAdept use? According to the FXAdept website, the trading system uses Trend Strategy and also relies heavily on RSI indicators in the execution of trades. This involves closely monitoring a trend line and entering a trade at breakout. They also claim to fuse it with a Support order algorithm that allows the algorithmic trader to identify false breakouts and close the market at negligible losses or breakeven. Trades are executed on 1-minute time frames and the system is specifically designed to trade the USDJPY currency pair. 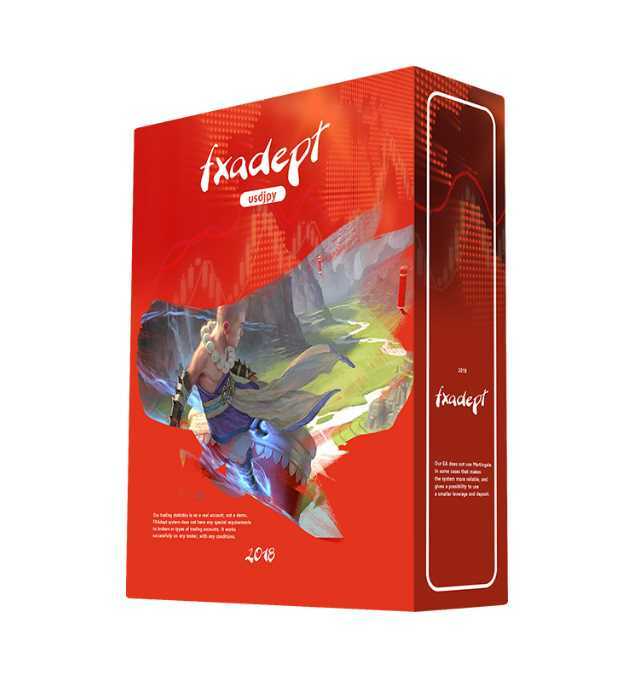 FXAdept developers claim to have ensured their trading system works to deliver the 30% monthly profits and have historical backtest and real account trading history to prove it. They have even included screenshots of the backtest results of two trading account, high risk and low-risk trades that have impressive performances. The $10,000 accounts operate on every tick data with a modeling quality placed at 90%. But you shouldn’t trust these backtest results to make your purchase decision as they are flawed in so many ways. First, they aren’t independently verifiable and don’t link to actual backtest results page but to the automated trader’s landing page. You would also expect an expert trader to go into details about the specific settings used to achieve such impressive results as the timeframe, spreads and stop loss levels, commission factor, and slippage or even the time period of the test. But FXAdept developers provide none of this. The FXAdept trading system developers are transparent in regularly updating the trading of their $1000 real account on Myfxbook. Created on November 2017, the account has reported an absolute gain of 291.42% with a maximum drawdown of 29.85%. This represents an average 0.27% and 9.51% in daily and monthly gains, a far cry from the ‘up to 30% monthly gain’ the developers promise on the website. Going through the trading history and monthly performance indexes, you will realize that the only time the trading system’s performance came close to hitting the developer’s target was in March 2018 with a 27.94% gain. Many are the times it has struggled to tear above 10% monthly gain. It has also severally posted subzero gains extending to -8%. 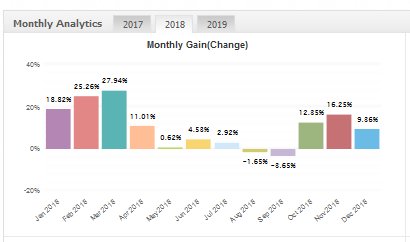 It is also quite suspicious that they stopped updating their Myfxbook page after the dismal performance of 0.5% gain recorded in Feb 2019. Low risk and minimal deposit: The greatest strength of the FXAdept EA lies in its choice of a trading strategy. Without the use of such aggressive trading strategies as martingale and Grid or engaging in scalping, the trades are exposed to minimal and manageable risks. This explains why the trader goes ahead to ask for $100 as the minimum deposit required to operate the algorithmic trader. High level of specialization: The FXAdept expert advisor is specifically designed to handle USDJPY trades. Its developers go a step further to recommend their preferred forex broker that they used to test their system. These go to show the extent of research the developers initially put in studying and mastering their product. 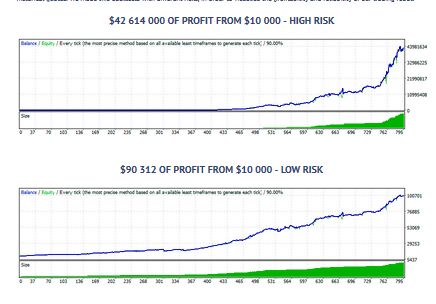 Expensive: When paying for an expert adviser, novice and experienced traders alike are looking for a system that outperforms their manual wins and the average free EA. And while there are automated traders that more expensive than the $269 FXAdept EA, it is still expensive when compared to the negligible monthly gains it records. Plus no one wants to buy an auto trader for such an amount and further maintain its perquisite $100 minimum operating balance only to have it post losses at the end of the month. Lacks customer reviews: 18 months is such a long time to be actively involved in an industry, promise positive returns, and still have no one to follow or recommend your system. FXAdept automated trading system has no verifiable customer reviews on either its website or on other independent customer review sites. This, in most cases, represents a lack of trust in the trader and should be reason enough to tread cautiously when dealing with such an expert advisor. 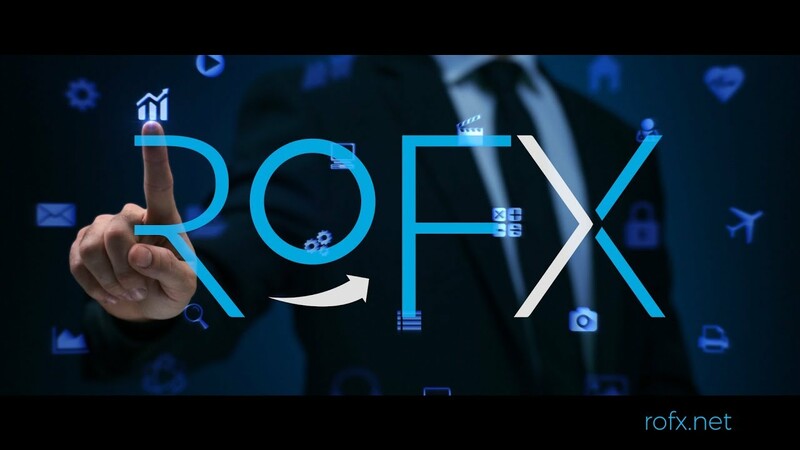 Too basic information: When it comes to forex trade, there is often a thin line between maintaining a simplistic, easy-to-interact with, website and withholding crucial information. And the FXAdept site falls in the latter category. While the developers are insistent on their automated trading system’s performance, they are not too keen on explaining how it achieves this effectiveness. They just gloss over such important details as how they conduct their backtest as well as their strategy. This is a red flag implying that the site administrators are either hiding information or inexperienced about forex automation and industry operations. The FXAdept trading system website draws a trader’s curiosity with its simplistic website. It is short on the bold and overpromising statements that characterize most automated trade websites. But this isn’t the only thing absent on the official automated trader’s site. It also lacks crucial information needed to help a trader make an informed decision. They are elusive in explaining their strategy or provide cooked up backtest results and make no mention of their developers or reference their professionalism. These are all red flags that make us question the legitimacy of the trading system and inform the decision to award it a score of 4.